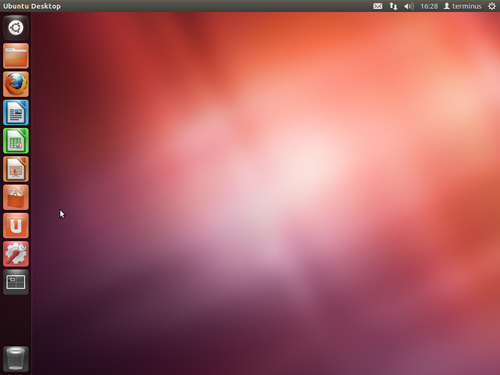 Ubuntu 12.04 has arrived and this is the guide to get you up and running in no time at all. 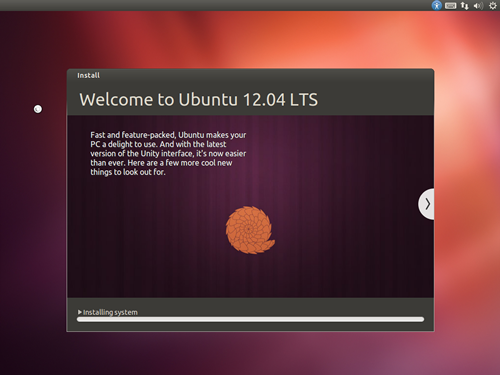 Representing the latest release in an excellent pedigree there is no doubt that Ubuntu 12.04 LTS looks great and does the job exceedingly well. 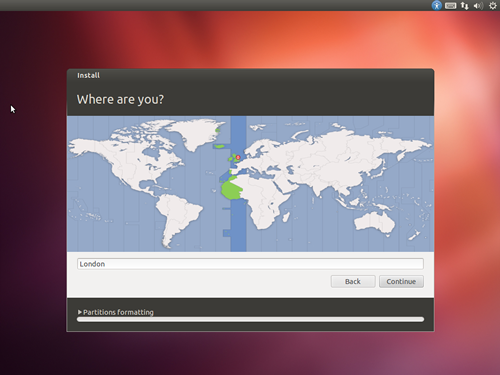 Naturally, things may feel different, particularly in view of the new features found, but on the whole we are going to discover that Ubuntu remains steadfast, reliable, easy to use, highly customisable and secure. Assuming that your host computer meets the specific requirements you will need to download an iso image of Ubuntu 12.04. 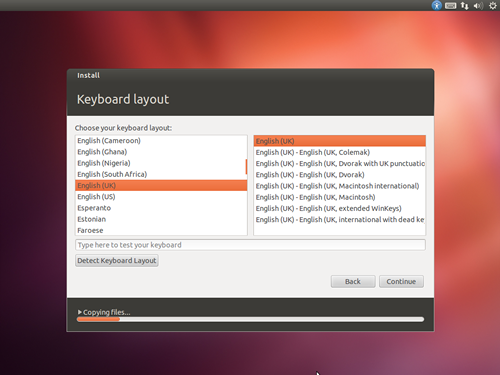 You can obtain this from the Ubuntu Website where you can elect to choose either, the 32-bit or 64-bit version; but given the range of multimedia plug-ins associated with today’s desktop environment the 32-bit version is advised (by Canonical); but I would suggest using the 64-bit version. Burn the image to a blank CD with your favourite CD/DVD burning software. Insert the media and boot from that drive. You should be aware that during the installation an active internet connection is required and for those wishing to install this operating system on a mobile device (i.e. Laptop or Netbook), it is advised that a mains power supply is used or made available throughout this process. In this first part of this article we will take a quick trip through the typical installation process. On the next screen you will be shown the requirements of the installer. Ensure that the following checkboxes are ‘selected’. In many respects, I would say that checking these boxes should be considered as a requirement as this action will ultimately make the entire process a little easier. In the next screen we will simply confirm that we want to erase the contents of our hard drive and install Ubuntu. These guidelines are for a typical installation. If you are attempting to ‘dual-boot’ then your screen may look different at this stage. 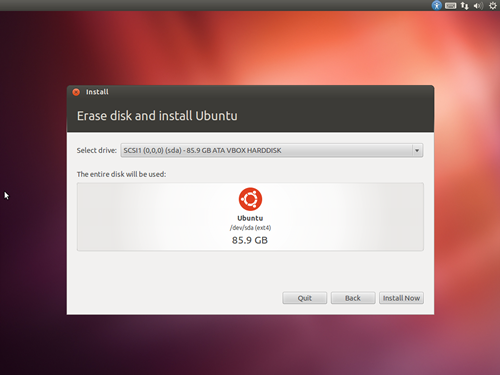 To proceed, choose “Erase disk and install Ubuntu” and click “continue”. As the installation method chosen will remove all the data from our hard drive the resulting screen will act as a confirmation of our previous instruction. then this is the time to quit and to start again. Confirm the correct hard disk has been chosen and if you are happy to proceed, click ‘install now’. 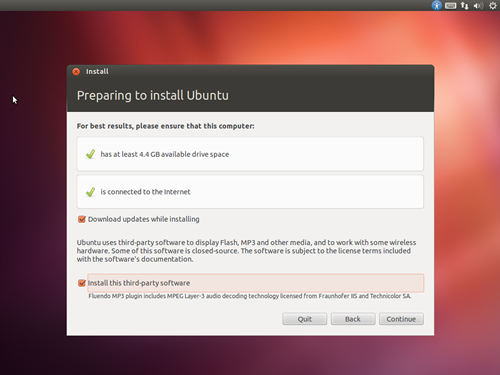 Ubuntu will now begin the installation process and the installer will ask a few simple questions. Don’t worry, there is no time limit. The first screen will ask us to confirm our time zone/location. By using your mouse simply choose your closest geographical location. When done, click ‘continue’ to proceed. The next screen will ask us to confirm our keyboard layout. Again, this is relatively straight forward and a test field is provided in order that we can validate our selection. As before, when done, click ‘continue’ to proceed. The final screen will ask us to create a user identity. Start with your name or preferred alias and complete the subsequent fields. In general all usernames/passwords/computer names should be no longer than 16 characters long and they should not contain spaces or non-standardised characters. Remember to keep your password safe at all times. The basic steps are now complete and from this point onwards (and until prompted) you can click through the feature dialogue on the main installation screen by using the left and right arrows on the main display area. Depending on the speed of your internet connection the installation process may take some time and when complete you will be required to reboot. As indicated below click ‘restart now’ to in order to complete the process. Your computer will now reboot and ask you to remove the installation media from your optical drive. (You will be asked to confirm this by pressing the ‘return/enter key’). 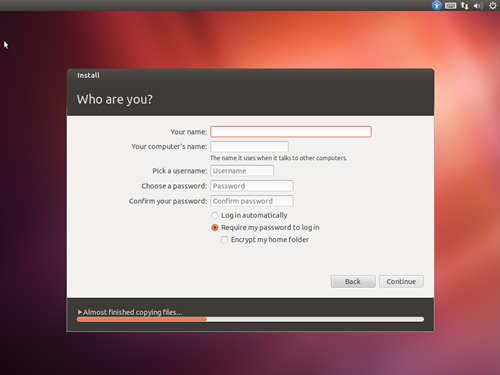 Login with the password created during the installation process to uncover your crisp and shiny new desktop. 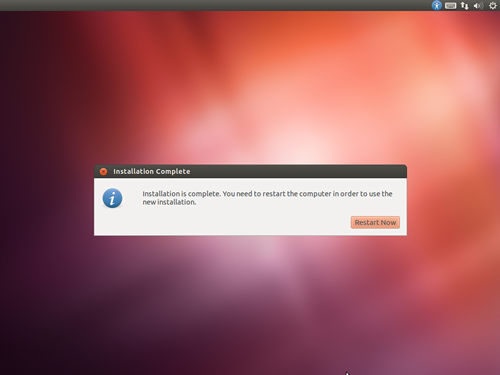 Well done, you have now successfully installed Ubuntu 12.04 LTS Precise Pangolin. With regard to system updates, when prompted simply click the ‘yes’ button to update. If you are not prompted to update the system you can always start the ‘Update Manager’ by opening the ‘Dash’ and typing ‘Update Manager’ into the search bar. When found, click the icon to open the tool. Choose ‘check’ and then ‘install updates’ if any are available. In the next installment we will take up the running with a check-list of post install ‘tips and tricks’ that will deliver a fully functional desktop computer suitable for most home and office environments, but before we ‘jump in’ I am sure you may want to spend some time discovering your new system. 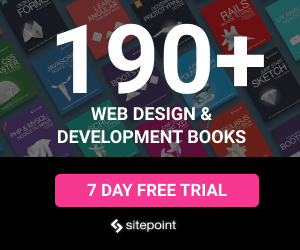 There are lots to discover and may I suggest starting with Ubuntu One, Terminal, Rhythmbox, Shotwell Photo Manager, Gwibber, Libre Office, and Transmission to name but a few.